The next generation of virus builders has finally arrived. 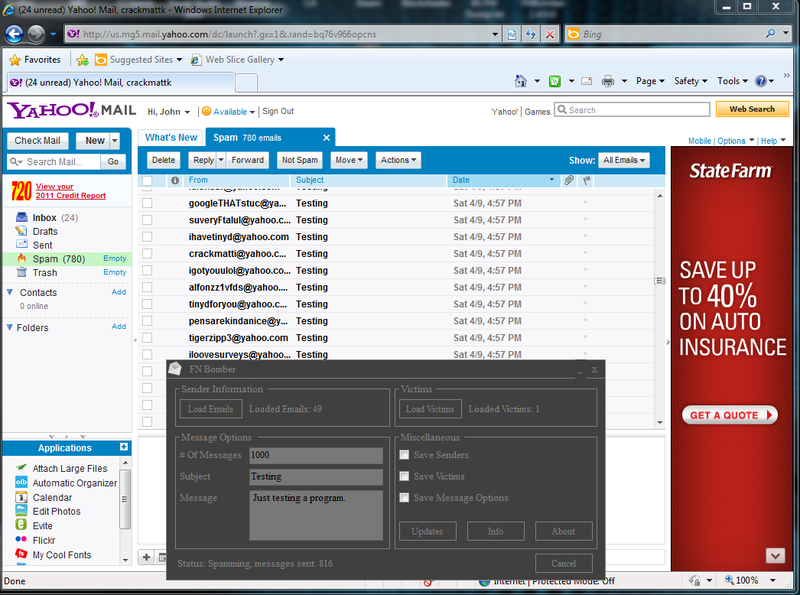 Ultimate Virus Builder offers you more than 50 options to customize your virus to your likings. You can even select your own icon for your virus ! Not only does this tool allow you to create your own virusses, it can also help you spoof the extension of any file with the built in extension spoofer ! Ultimate Virus Builder has an automatic update system, so you’ll never have to worry about downloading the latest version, isn’t that awesome? 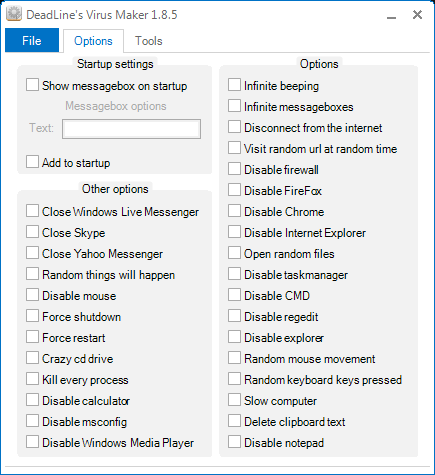 You don’t need to be a computer ‘geek’ to create virusses, all you need is Ultimate Virus Builder. DeadLine's Virus Maker 1.8.5 is a virus maker that I made because I do not trust all the other virus makers that are out there on the net. I worked on this for 8+ hours in total. 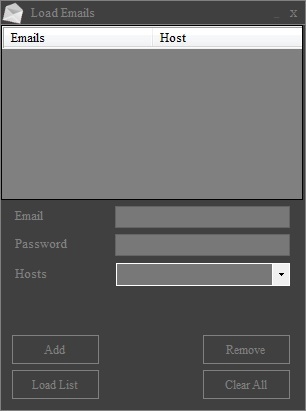 This application lets you create virusses, and you do not need to be a computer "geek" to do this. All you need, is this tool. 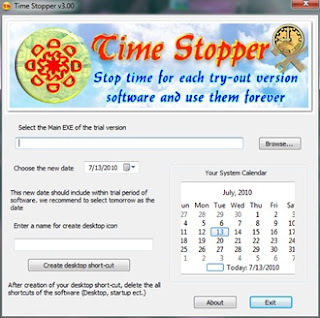 Time stopper v3.00 free software forever. 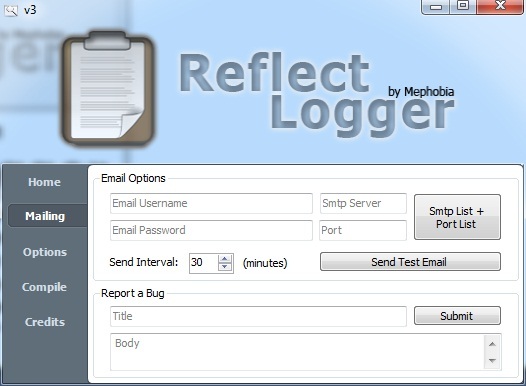 If you usually typing a password in a desktop application, it may be that a keylogger spies out your secrets. This is obviously not good. Screen keyboards might be a good solution, but again, there could be a screen capture program which watches effortlessly your passwords. Furthermore, screen keyboards are relative unhandily. The following article presents a relatively simple principle, which prevents the keylogger to write down passwords entered. Basically, the used system is surprisingly easy and can therefore be transferred to other programming / operating systems / platforms, although under a small limitation. The first question is: How can a program hide keystrokes? Perhaps there are some difficult ways to do this, but most probable this is not possible. We create an assumption: Entered characters necessarily mean the keylogger sees them. 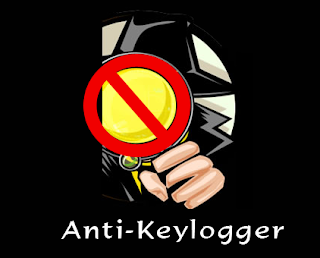 And that's what we use against the keylogger. The second question is: How can a program generate keystrokes? This is normally possible. For example, we use in C# the class SendKeys, which provides methods for sending keystrokes. By the way, there can be the mentioned limitation because a website has not the authorization to produce keystrokes. The third question is: How can we combine these two statements? At every time when the user types a character, the program generates some keytrokes more. The keylogger write down all characters both from user and program, but only the user and the program know the entire password. Unauthorized third parties see only letter salad and they can not decrypt the main password. Creating random keystrokes after every character allows attackers to reproduce the typed password. Therefore the program must create identical keystrokes. Then again the produced keystrokes should not be identical for all passwords. In summary, we need a algorithm, which produces for every character always the same keystrokes. In addition to this, the length of the generated keystrokes should vary. For all that, an attacker can create a table with all characters and their hash result either by reverse engineering or by testing. Using this table, he can decrypt the password relatively easy. To prevent this, the generated keystrokes should depend on a password identity, such as account name, account number, e-mail or computer specification. Unfortunately, this is only an obstacle, but no blockage for attackers. The first guide to planning and performing a physical penetration test on your computer's security. Most IT security teams concentrate on keeping networks and systems safe from attacks from the outside-but what if your attacker was on the inside? While nearly all IT teams perform a variety of network and application penetration testing procedures, an audit and test of the physical location has not been as prevalent. 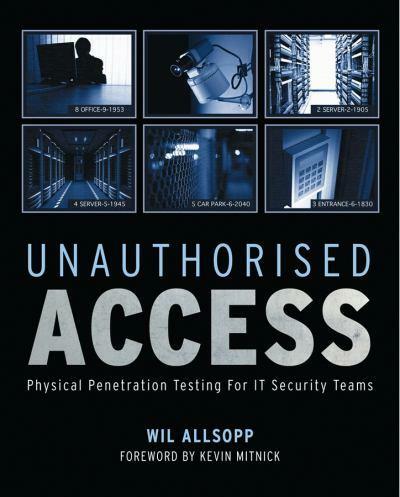 IT teams are now increasingly requesting physical penetration tests, but there is little available in terms of training. 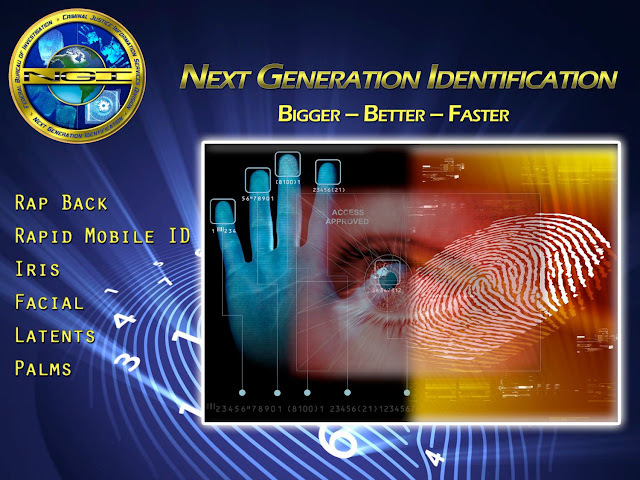 The goal of the test is to demonstrate any deficiencies in operating procedures concerning physical security. Featuring a Foreword written by world-renowned hacker Kevin D. Mitnick and lead author of The Art of Intrusion and The Art of Deception, this book is the first guide to planning and performing a physical penetration test. Inside, IT security expert Wil Allsopp guides you through the entire process from gathering intelligence, getting inside, dealing with threats, staying hidden (often in plain sight), and getting access to networks and data. In order to defend data, you need to think like a thief-let Unauthorised Access show you how to get inside. Connect the old, the new, the practical, and the fun! 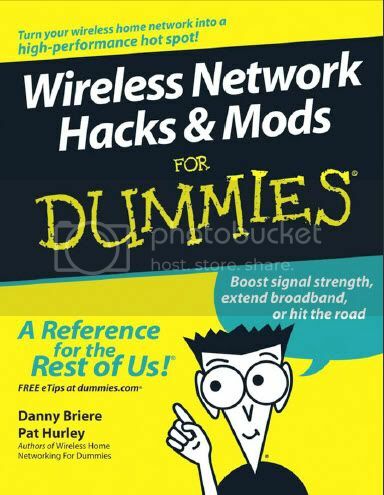 Now that you've got a wireless network going, you're getting the urge to see what else it can do, right? Hook up with this book and find simple, fun ways to expand its possibilities. Add your home entertainment gear, beef up speed and performance, discover wireless on the go, and get more out of your network! Fixed .Remove and .Kill function on x86 - Injected thread will still be running until reboot. Bots will ping out of IRC. Facebook Timeline KIT is kit with 100s of possible design combinations. All elements are vectors or shapes and You can Scale or rotate it. 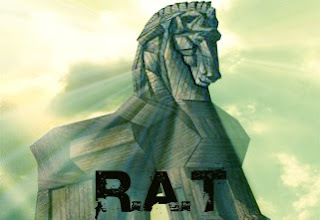 I suggest you to go with older XAMPP 1.6.x because you will need VC++2008 redist or later to set leatest version to run. Creation of these two database will prevent error boxes, i didn't provided table structure because they are not needed for rat. 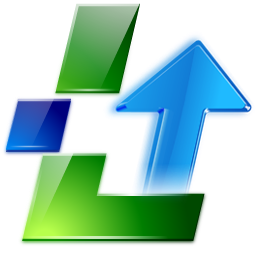 Import the database backup files provided for each database respectively. DB password is the same, its just port forwarding that is necessary but I might release all login servers. Only 4.8 has different database password but like described before, it can be bypassed with port forwarding, use netsat to examine in details. requires no interactivity with the user and runs totaly stealth. the server.exe is executed EVERYTIME an exe/pif/com/bat/hta is executed. The NeverShowExt key has the function to HIDE the real extension of the file (here) SHS. SSDT) and then, when two tools want to hook the same API, there is a conflit. By starting & stopping them, we can easily provoke a blue screen. 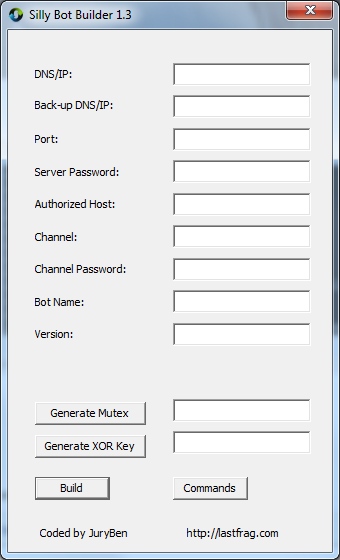 As previously said, This tool can conflict with some security tools, like process guard. So i advise you to read the readme before you use it, and at least to look how to uninstall it. 1.1 What use is it ? Agony is a rootkit for Windows 2000 and superiors, able to falsify data returned by the Windows APIs. It can make files and applications invisible on a windows system. Under Windows, the applications run under 2 modes: ring3 and ring0, also called respectively user mode and kernel mode. The kernel mode is lower a mode than the user one, wich is the one you usually run under. That means that all the calls made from user mode will interact with kernel level to be executed. The utility of a kernel mode rootkit is that security tools, working with the user mode, will not notice anything. 1.4 how is it made ? it is fully coded in C. The rootkit is made of 2 parts: the driver, which runs in kernel mode, and the .exe, which runs in user-mode, it installs the driver and launches commands. Compile the driver with the DDK, and the .exe with any compiler (including some kernel libraries). I made it with Dev-c++. This tool was created in order to familiarize myself with ring0. It's for educationnal purpose, and that's why it's open source. You will be the only one responsible for the use you make of it. In other words, use it at your own risks, I would also decline any responsibility of materials or software damage. Launch the program without arguments to view a small description of Agony features. Take care, before using them, that this tool is case sensitive. for instance: agony -p opera.exe will NOT hide Opera.exe process. Also note that you have to use quotes to hide object with spaces in their names. All processes named "process_name.exe" will be hidden. Note that agony doesn't prevent access to this process, it just hides it from listing APIs. example : you can kill this process with his PID, even hidden. The hidden file/dir will be not shown in file listings too (eg : explorer). For example, you can access C:\hidden_dir after a "agony -f hidden_dir", just by typing "C:\hidden_dir" in the explorer address bar. All files/dir with the same name will be hidden, so don't try to hide a file named "system32"
Agony can falsify the reg base. Once again, only listing are falsified, the key/values are accessible. 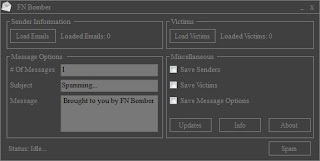 You can use tools like fport to see wich ports are opened by an application you want to hide, and use agony to hide it. Be aware of the fact that service_name is the recording name of the service, not the display name showed by the SC manager. Here, it works a little bit differently: we have to fetch the list of services in the service.exe process memory to find the service to hide, and hide it. Hidden services will not be accessible anymore. 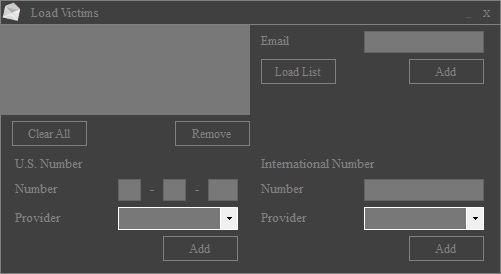 -space option allow you to falsify the remaining space disk on a volume. w00t, isn't it ? You can now hide your 30 GB of pr0n. If you launch "agony -space C:500" and then "agony -space C:800", there will be only 800 Mb added to the real remaining space disk. The -r option allows agony to survive a reboot. All the cmdline containing the -r option will be launched at the start of the computer. This command will stop all agony activity, uninstall service, clean registry and some agony files. sc delete agony (if you didn't hide the agony service). You can also delete the .sys file and reboot. But the cleanest way is to use -stop option. 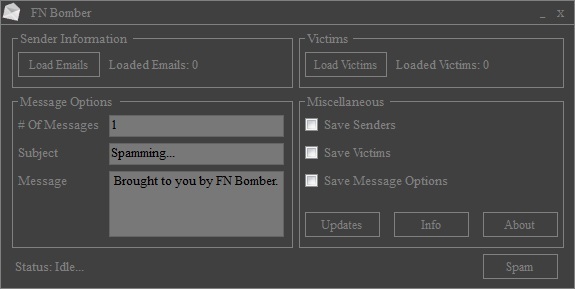 I don't think i will continue this rootkit (maybe for private releases). Those who want to continue the tool can start with my code. Thx to lucifer and Lord for the translate. How To View Private Photos on Facebook !!! !